You are at:Home»All News»Cities»Emergency preparation only for the privileged? Storing food and other supplies in case of a disaster is out of the question for people who cannot afford the basics for everyday living – a key issue that needs to be addressed by emergency preparedness agencies, according to new research from Massey University. Dr Denise Blake, lead author based at Massey’s Joint Centre for Disaster Research in Wellington, has challenged the implicit assumption of emergency preparedness literature that everyone can afford to buy extra food and water, torches, spare batteries and other emergency survival items. While there is concern at increasing numbers of New Zealand families affected by poverty and inequality, too little regard is given to how those same people should prepare for a disaster, the report says. She includes not only those living in poverty, but other marginalised groups such as people with mental health issues, the homeless, and migrants. 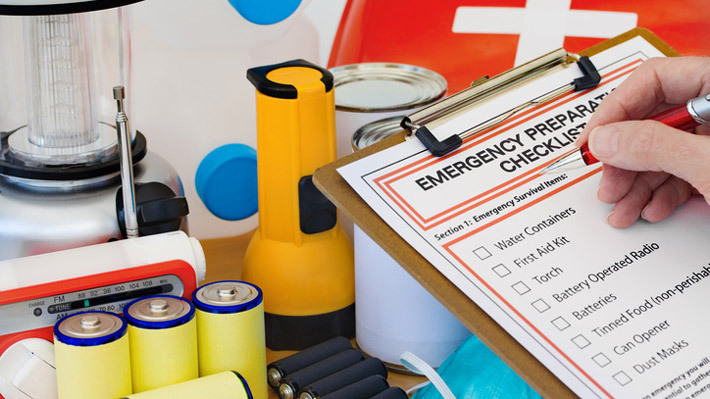 She cites a useful resource created by a Wellington Regional Emergency Management Office (WREMO), titled It’s Easy: Get Prepared for an Emergency. The messaging urges people to prepare by amassing a comprehensive list of goods, such as three days’ worth of non-perishable food, torches, battery-operated radio, first aid kit and spare cash, and advertises emergency water kits at $105 each. She says that in some of the preparedness information available: “there are no recommendations for what to do if you cannot afford food or a disaster kit, or do not have a car, or cell phone credit to make calls in an emergency. And while she believes authorities intend their messaging to address the resilience of all communities, there is a lack of acknowledgement of how the vulnerable will manage their circumstances. For them, “preparing for a disaster is a not a priority,” Blake says. Those on low incomes are further disadvantaged because they are less likely to have insurance to recover damaged goods and property in the aftermath of a disaster. “Reducing the causes of inequality that put some at a far greater risk and disadvantage when their lives are upturned by earthquakes, floods or other disasters should be the long-term goal,” Blake believes. Meanwhile national and local government can ensure low-cost housing is structurally safe, and emergency preparedness agencies need to address the needs of marginalised people by involving them in planning and ensuring communities are well-resourced. Dr Blake hopes the paper will spark more awareness of social justice and vulnerability issues and the socio-economic contexts that underlie emergency preparedness, so that agencies will become better equipped to support the diverse needs of their communities.